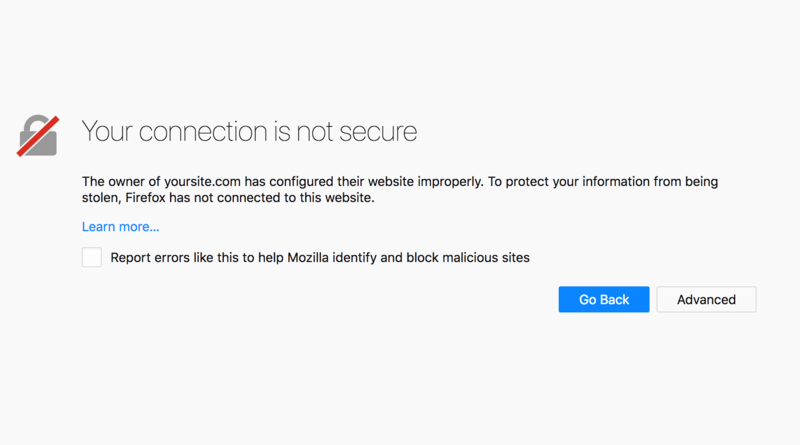 Fix certificates before your users get an embarassing Insecure Connection page. Every Oculus Rift is offline thanks to an expired certificate. Microsoft's Azure service hit by expired SSL certificate. Instagram forgot to renew its SSL certificates, causing panic among its users. Avoid Embarrassing situations like these with CertsMonitor. What happens if I don't renew my certificates? Your visitors start seeing Warnings, and can't open your site in some cases. Your search rank plummets. Your conversion rate drops. Your clients start trusting you less. See in a glance if any of your domain is revoked, or not configured properly.